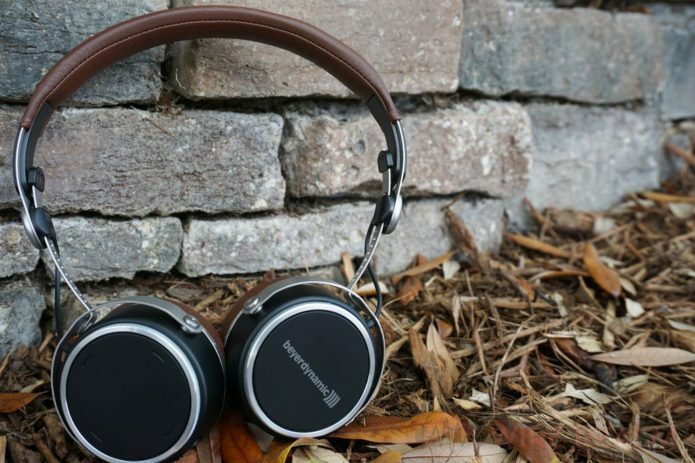 If you feel like blowing some cash, the Beyerdynamic Aventho Wired headphones are a lightweight pair of on-ears with a modern design that will make your commute significantly more enjoyable. Otherwise, it’s hard to recommend spending almost $350 on these. Beyerdynamic might not be the flashiest brand when it comes to audio products, but their products are usually some of the best out there. We’ve checked out a fair number of headphones from the company including the Aventho Wireless, which Lily reviewed earlier this year. But the biggest issue with those is the insanely high price tag for a pair of Bluetooth headphones. What if you don’t care about Bluetooth and wouldn’t mind saving a small bit of money by picking up a wired pair? That’s where the Beyerdynamic Aventho Wired headphonescome in. You might think these headphones are the same minus the Bluetooth, but you’d be wrong. The Beyerdynamic Aventho Wired is a completely different product. Commuters. Saying that about a pair of on-ear headphones is weird, but that’s basically who these were made for. It isn’t that they do a great job at blocking outside noise (because they don’t), but rather because of their lightweight build and bass-heavy sound. If you want headphones that will actively cancel outside noise, look elsewhere. Rich people. I’m going to be blunt, these are too expensive and not a smart investment for people who don’t have the cash to blow. They’re a great pair of headphones, but I couldn’t recommend these in good conscience to anyone unless I knew that they wouldn’t miss the $340. How’s the build quality of the Beyerdynamic Aventho Wired headphones? As far as build is concerned, I’m completely torn on whether or not I like it or not. One day I wake up wishing they were a just a little more sturdy and the next day I’m tossing them in my bag thankful that they’re so flexible. That said, there is one thing in particular that I wish were better about the build quality of these headphones, especially when you take into account how expensive these are. Looking from straight on, the ear cups seem pretty large mostly due to the comfortable plush padding. My main issue with these is the headband. As on-ears, I expect the Aventho Wired to fit tightly because otherwise: they’d just fly off my head every time I turn around. Beyerdynamic did a great job in making the clamping force just tight enough to stay on your head, but not too tight that they hurt. Still, I think these could benefit greatly from some more padding at the crown of the head. If the team at Beyerdynamic had been even a little more generous with the plush padding underneath the headband: I don’t think these would have any amount of discomfort. As it stands, I feel a constant, slight pressure that makes me very aware of the headphones. The Beyerdynamic Aventho Wired headphones have a metal build with hard plastic holding things in place. Besides that, these headphones basically check all the boxes when it comes to what you’d expect from a premium build. The entire frame of the headphones is made of a thin metal that seems to do fine under small amounts of stress. Even the plastic along the inside that holds the adjustable headband in place feels more like tough wood than it does flimsy plastic. I’m not entirely convinced that if you lean on your bag the wrong way something here won’t snap—because everything is so thin and small that it’s hard to imagine them not snapping under above average force. They also don’t have hinges for folding, so even though the ear cups rotate 90-degrees to lie flat: they’re not as portable as I think they could be if these were designed to collapse down. The ear cups have a matte black finish that is surprisingly resistant to my grubby fingerprints which is great to see. What’s even better is the thin metal ring that surrounds them is a nice touch that adds a bit of flash to the otherwise minimalist design. Of course, they’re still on-ears, so the fit and isolation aren’t great. You’ll easily hear what’s going on around you, but that just comes along with the form factor. Thankfully, they are pretty comfortable thanks to the plush leatherette padding that you can easily replace on their website if they get worn down over time. Similarly, the audio cable is also removable for easy replacement. Beyerdynamic made sure that you’ll be able to make thee last as long as you want them to. The lightweight metal construction is tough, but we still wouldn’t classify these as durable. The cable is also borderline perfect in my book. It isn’t so thin that it feels cheap and flimsy, but it’s far from the thickest, heaviest cable we’ve ever used. As far as combining these portable on-ears with a durable, but lightweight cable Beyerdynamic hit the nail on the head here. Plus, the built-in mic and controls are universal so regardless which smartphone you’re using you’ll get basic controls like pausing and playing music as well as answering phone calls. The control module is universal for playback, but volume control varies from device to device. But the downside of 3-button remotes that are “universal” is that whether or not you’re able to control volume is a hit or miss. On my iPhone X volume control wasn’t an option, so every time I needed to adjust it I had to pull my phone out and do it manually. Not a big deal, but something to pay attention to if you rely on that. These headphones are slim, minimal, and lightweight even though they’re made of metal. So I’m not sure if I’m just used to the Beyerdynamic over-ears which always impressed me, but I didn’t come away from the Beyerdynamic Aventho Wired headphones feeling the same way. Sure, they sound fine for their intended use case, but not nearly as good as other headphones you can get for the price. Lows were greatly emphasized which, to be fair, makes sense because those are usually the first notes to be masked by outside noise. Still, I think it was overdone here. The bassline in the song Let It Happen by Tame Impala tended to jump into the lower-mids at times, and with everything going on in that song it just got in the way of the overall clarity. On the bright side, I felt like vocals (especially female vocals) are handled beautifully by the Aventhos. Natalia Lafourcade came through clear with plenty of detail in her song Para Que Sufrir. Something that isn’t reflected in the highs which easily fade into the background in most songs. These give me the impression that they were tuned for bass and vocals, which to be fair is arguably the most important parts of a mix when you’re surrounded by city traffic and want to hear your music, but doesn’t really help if you just want to sit back and pick apart your favorite tracks. While I think these would have been a killer pair of headphones for most people anywhere near $150, the fact that they cost $339 makes them a no-go for me. I don’t know many people who don’t mind blowing close to $350 on a whim, but if that’s you then sure, get the Beyerdynamic Aventho Wired headphones. They’re not bad at all and even though the sound isn’t great for critical listening, that isn’t their intended use case. The emphasized low end and vocals make for a pair of on-ear headphones that make your music easier to hear in the cacophony of the outside world. And though it’s a practical sound, it isn’t a very exciting one to me. The Aventho Wired are well-built and, for the most part, surprisingly comfortable for a pair of on-ear headphones, but that doesn’t mean you should spend $339 on them. If you’re going to spend that much you might as well just spend a little more on the Aventho Wireless. Or if you really want one of the best sounding headphones around, spring for the Amiron Wireless and you won’t be disappointed. Otherwise, I’d say these are just too expensive for what you get.